Alyson M. Zarro is a shareholder with Riley Riper Hollin & Colagreco whose practice focuses on land use, zoning and real estate law. Located in the firm’s Exton office, Alyson represents developers, homebuilders, land owners, utilities, health care facilities, schools and various retail and office clients doing business in southeastern Pennsylvania. Alyson represents a mix of large national developers as well as prominent regional and local companies by helping them navigate complex, comprehensive zoning issues. With her counsel, clients have obtained the municipal approvals and state and federal permits required to build and expand residential subdivisions, shopping centers, utilities, churches, medical facilities, schools, offices, other commercial projects, mixed-use developments and apartments. Drawing upon her extensive experience in land use and zoning, Alyson helps guide clients through the complex regulatory environment of southeastern Pennsylvania and handles their applications and appeals. She negotiates easements, works closely with area municipalities to obtain entitlements, interprets building codes, addresses historic preservation and environmental issues, and assists developers with legal issues and documentation during the formation and implementation stages of planned communities and condominiums. Alyson’s practical business perspective, eye for detail and goal-oriented approach combine to deliver efficiencies and cost-effective results for her clients. Whether helping a national homebuilder get the greenlight for a large housing development or obtaining the required use permits for a school serving children with special needs, Alyson approaches each matter from the client’s perspective and develops a legal strategy that matches their objectives. Her training in historic preservation and experience in working with State Historic Preservation Offices (SHPOs) is an ideal match for clients who must navigate through the complexities of federal, state and local historic preservation regulations. Alyson earned her Juris Doctor, Master of Arts in Preservation Studies and Bachelor of Arts from Boston University. 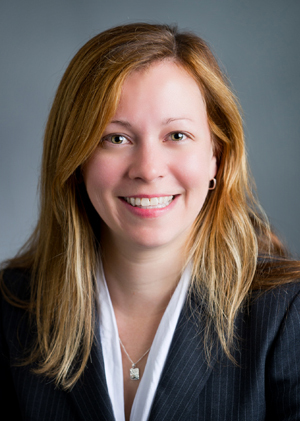 She serves on the legislative action committee of the Homebuilders Association of Chester/Delaware Counties and is a member of the Pennsylvania and Chester County Bar Associations.